A month before my play Kryptonite began rehearsals in 2014, I was diagnosed with non Hodgkins lymphoma. Machu Picchu is the play I wrote as the result of that experience. This play is not about cancer – it’s nothing whatever to do with it. But it is, I hope, about what I discovered from having it. When you’re dealing with a potentially life-threatening situation, you think about a lot of things. Things that often don’t get a look in in your often lucky, affluent busy busy life. In fact, in that life you can forget that that luck, affluence, health and happiness can be finite. Indeed, you often forget that the life itself is finite. I did. I also came to understand something new: facing the possibility of death is one thing, but facing a life that is suddenly and shockingly compromised requires an entirely different type of courage altogether. It's that courage that I wanted to learn about, and that courage that I wanted the play to celebrate. Ordinary courage. Ordinary resilience. One of the wise people I sought out during the cancer experience said to me “some people are afraid of death; some are afraid of life; some are afraid of both”. I’m still thinking about that, and wondering which of the three categories I belong to. I sought out lots of wise people during the experience – psychotherapists, pain and illness counsellors, Buddhist meditators. And then: I sought out people who are living with long term pain, illness and disability. I listened to their stories – often hilariously funny stories – about how they go about their lives, how they celebrate what once they took for granted, and how they now know what they never knew before: what is really important. … a love story. A love story between mind and body; self and other; illness and health; hope and despair; comedy and tragedy; between Gabby and Paul. For myself? I am blessed that my chemo treatment brought back my health and allowed me to get this play written and out there. That it allowed me to work once again with my friends at STC and STCSA. And to collaborate – now for the third time – with the gifted and humane Geordie Brookman. 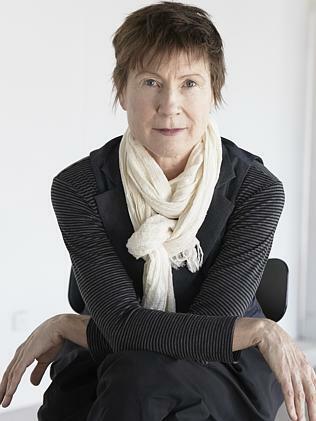 Sue Smith is one of Australia’s finest writers for stage and screen. In a career spanning 30 years, she has written everything from The Young Doctors and Sons and Daughters to The Leaving of Liverpool and Brides of Christ (both co-written with John Alsop). She has won AWGIE awards for The Road from Coorain and Mabo, which also won the 2012 Queensland Literary Award. Aside from her numerous television credits she also penned the feature film Peaches starring Hugo Weaving and Jacqueline McKenzie. Sue's play Kryptonite premiered in STC's Wharf 1 Theatre in 2014, in a co-production with State Theatre Company of South Australia.